In this second post about giving your database a spring spruce-up, I’m going to outline some tips for cleaning up your list of schemes. You are mostly going to be working in the Schemes & Interpretations module. 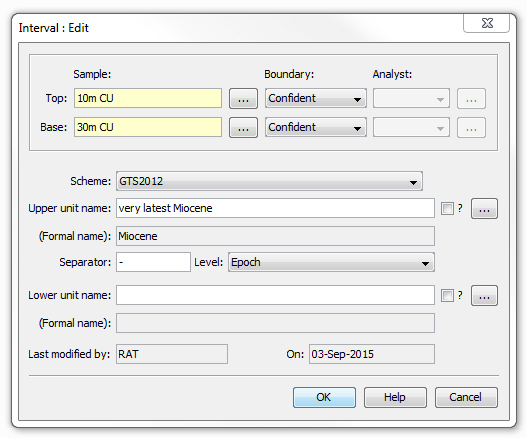 Select Schemes > Strataigraphic schemes to bring up the Schemes window. 1. Is the scheme actually being used? If no wells are referencing a scheme then you should be able to delete it. Select the scheme and press “Show wells”. One note of caution: pay attention to the created/modified dates on the scheme. The person at the desk opposite will not thank you for deleting their lovingly crafted brand new scheme which they were poised to record in a new project. We speak from experience. Note that there is also a “Show charts” button. You might need to delete or modify chart templates which reference the scheme before you can delete it. 2. Does the scheme have any units? This is an informal interval linked to the Palynology scheme, but not linked to any unit within that scheme (hence the formal name is empty). 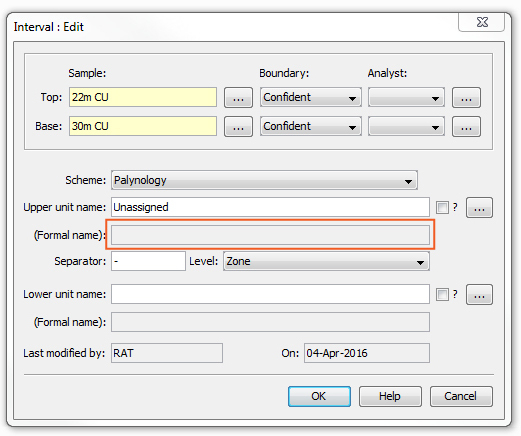 The Palynology scheme does NOT need to contain a unit called ‘Unassigned’. There is a button on the main schemes window to “Find unit” – I strongly suggest searching for terms like ‘unassigend’ and ‘informal’ to identify the most common culprits. and would still correlate with other Miocene intervals. 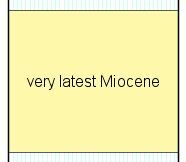 Once again, the scheme itself does not need to contain a unit called ‘very latest Miocene’! You will need to browse your scheme to identify such ‘junk’ units. Select and press “Show wells” to see where the unit has been picked. If you decide to delete the unit, you don’t actually need to edit the well – when you close the scheme dialog the offending intervals will be reassigned as informal (as in the first example). This interval could and should be linked to the ‘Miocene’ unit in the scheme. This can be done by selecting it and pressing “Link…”. Since v2.1 all biozone schemes and composite standards must be linked to a “parent” chronostratigraphy scheme. Parent schemes were not automatically assigned in the conversion; you will find that you can’t commit edits to a scheme until you have specified its parent. You may well have different versions of the same biozone scheme whose ages are calibrated to different parents. 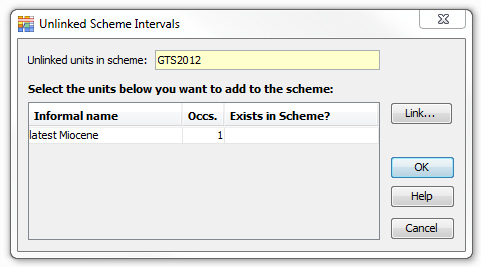 You can create the recalibrations using the “Recalibrate” button on the schemes window. You should be clear about which chronostratigraphic framework you are working in. If you’re not, then it might be time for a team meeting. The more exciting features of StrataBugs rely on absolute ages, and you need these to be consistent across data types for everything to line up correctly when plotted on age scales. Forcing you to be explicit when editing your schemes is therefore a good idea! You can download some of the standard schemes from this page of our website. If your favourite scheme is missing, please contact us so we can consider adding it! As of v2.1 you can apply a ‘lock’ to schemes which you deem unsuitable for general editing. Chronostrat schemes, especially standard ones, should definitely be locked down. 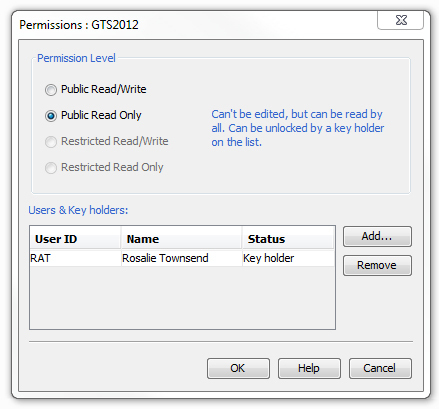 You can give trusted users the keys in case they need to make changes. When is an analysis barren?